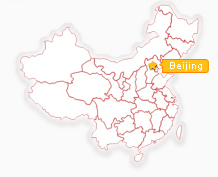 Guangzhou covers a total area of 7,435 square km, with an urban area of 1,444 square km. Administratively, it consists of 8 districts, 3 counties, and one municipality. The population is 6.3 million, of which 3.94 million live in the urban areas and 1 million are seasonal laborers. With a history of over 2800 years, Guangzhou has always been a port for foreign exchanges and trade, and is still one of the largest ports in China. Here the China Export Commodities Fair is held every spring and autumn, which attracts business people from the world over. Known as City of Flowers, Guangzhou is famous for being a city with flowers all year round. The top four fruits of Guangzhou are lychees, bananas, pineapples and sweet oran ges. People in Guangzhou speak Cantonese, a spoken language quite different from Mandarin. The delicious Cantonese cuisine is noted for its freshness, tenderness, smoothness and crispiness. On the other hand, Cantonese people are notorious for eating everything: snakes, mice, cats, sparrows, and monkeys --- you name it. Hence the banter: the Cantonese will eat anything that flies save planes and anything with legs save tables. 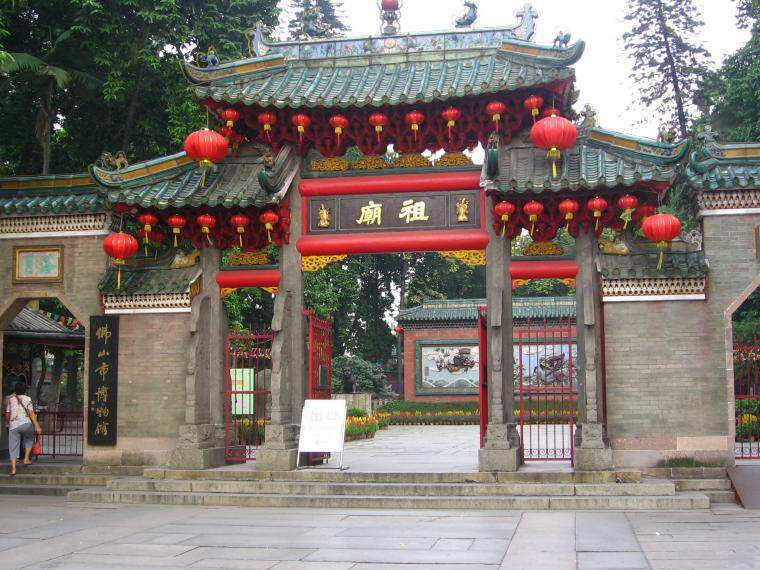 The points of historical interest include Zhen-hai Tower, the Guangxiao Temple, Liurong Temple, Huaisheng Mosque, Sun Yat-sen Memorial Hall and so on. 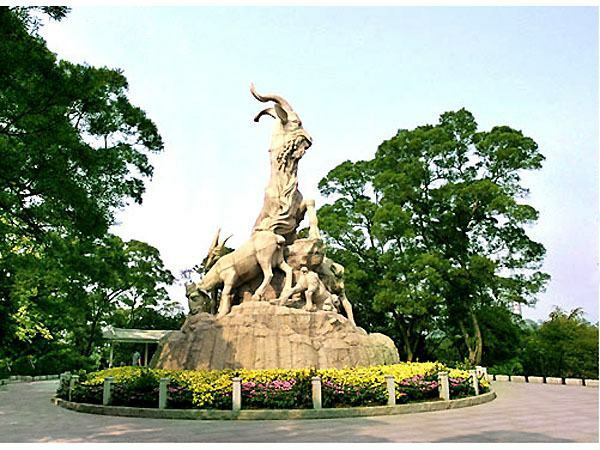 Yuexiu Park, the largest park in Guangzhou, gets its name from Yuexiu Mountain, which is located in the park. 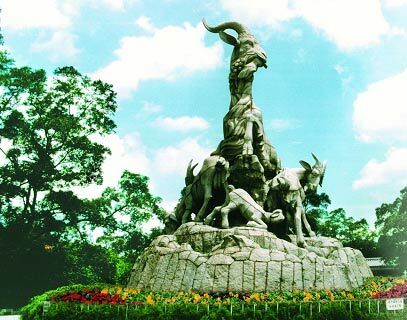 Yuexiu Park is famous for its beautiful scenery and its large number of historical relics such as the Five-Ram Sculpture, Zhenhai Tower, the site of the Ming Dynasty City Wall, and the Square Cannon Site. The Pearl River flows through Guangzhou City. At evening, taking a boat tour on the river to admire the breathtaking night view of the city is a great enjoyment. The food industry in Guangzhou ranks among Chinas top. To date, there are over 10,000 restaurants in the city. Apart from seafood, animals, insects and worms, flowers and weeds are all made into dishes. The Cantonese also have a custom of drinking tea with snacks in their leisure time or at business meetings. The tea drinking tradition can be traced back a hundred years to the Qing Dynasty (1644-1911). There is a variety of Cantonese dim sum, sweet or salty. The delicious Cantonese-style dim sum served with tea offers a fresh flavor in leisure time. It is estimated that there are over 1000 ways of making desserts in Guangzhou. Most locals are gourmets and love varieties. Scattered all over the city there are over 5 000 restaurants, teahouses and snack eateries, offering service around the clock. Go to Shangxia Jiu Lu, Xihua Lu and Renmin Lu. 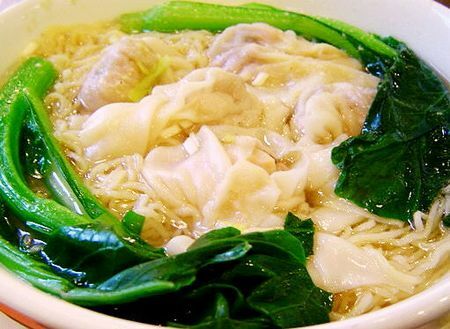 You will find many eateries that serve Wonton Noodles. 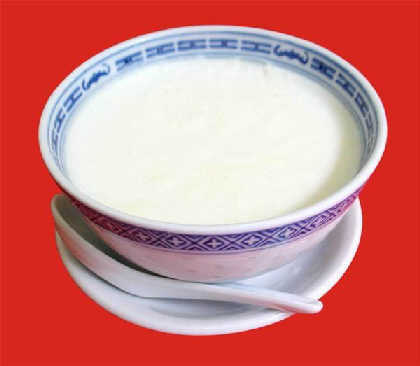 Cantonese like to have the delicious Yuntun Miao for breakfast. Lying next to Hong Kong and Macau, Guangzhou is aware of its commercial development. The biannual Canton Fair adds to the commercial atmosphere. To tourists, Guangzhou is really a Shoppers Paradise. If a friend comes to Guangzhou from afar, Cantonese will take him/her to walk around the Shangxia Jiu Lu and Teem Plaza area. 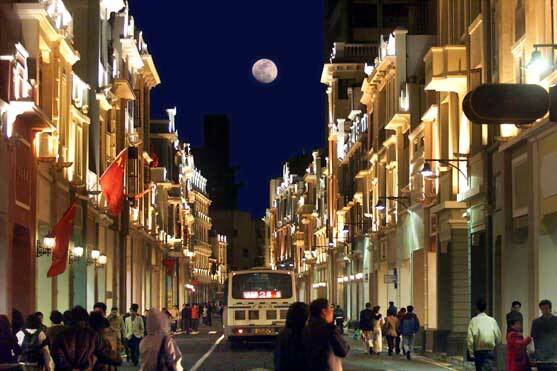 Just like the Wangfujing in Beijing, the Town Gods Temple (Chenghuang Miao) in Shanghai and the Confucius Temple in Nanjing, Shangxia Jiu Lu is the most influential traditional commercial street in Guangzhou. 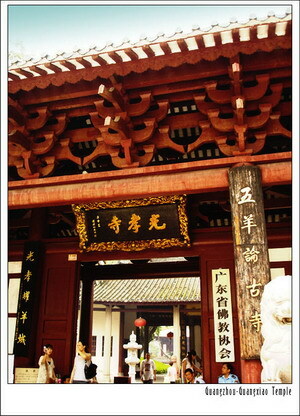 Be sure to go to Shangxia Jiu Lu. 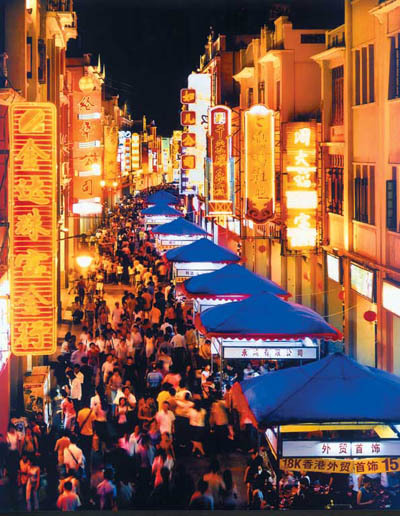 Even if you dont buy anything, just walking along this street you will feel the cultural atmosphere in the street with Qi Lou on both sides. Wende Calligraphy and Painting Street neighboring the Beijing Lu is known as Guangzhou Gallery. Stores selling works of calligraphy and craftworks line both sides of the road. Yide Lu Seafood Market is the home of famous dried seafood. You will find a wide variety such as sharks fin, oysters, abalone and cuttlefish... Shan Hai Cheng and Hai Zhong Bao are the most reputed seafood markets here.